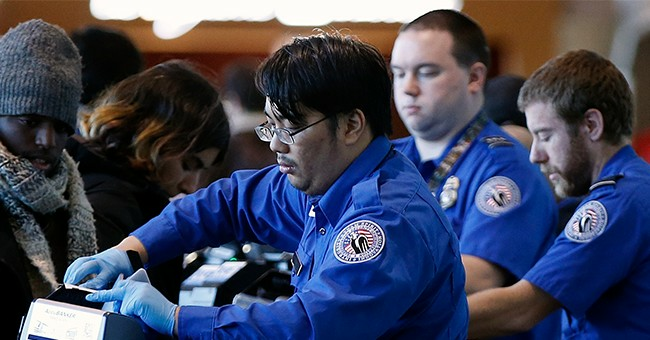 Earlier this year, the U.S. Transportation Security Administration (TSA) made a bit of a splash in the news when the agency claimed to have intercepted a record number of firearms at U.S. airport security checkpoints for the third consecutive year. We wondered how that compared with previous years, so we mined through historical data reported by the TSA since 2001, going back to the federal government agency's origins in the aftermath of the 11 September 2001 terrorist attacks. The following chart reveals what we discovered. One of the things that stood out immediately in the historical data is that the TSA appears to have massively inflated its originally reported counts of the number of firearms it claims to have intercepted at U.S. airport security checkpoints in the years of 2005 through 2007, which it subsequently revised substantially downward. Comparatively smaller upward revisions were made for the years of 2008 and 2009. What we haven't been able to find is any official explanation for why the TSA was so far off on its counts during any of these years, where in the case of 2005, they were off by 1,557, originally claiming to have intercepted 2,217 firearms, where the revised count was reduced to 660. Meanwhile, the original count for 2006 was 2,075, which was off by 1,254 firearms from the revised count of 821. The original count for 2007 was 1,416, which was subsequently revised downward by 613 to 803. The agency appears to have used a consistent definition of what constitutes a firearm throughout all these years, so we can rule out any changes in what might have been erroneously counted as an intercepted firearm as an explanation. To date, the TSA has not responded to our inquiry seeking an explanation for the revisions to what appears to be its greatly inflated annual intercepted firearm counts during these years. On a side note, the vast majority of these cases appear to be incidents where the traveler simply forgot they had a firearm in their carry-on luggage. These cases are not considered to be serious violations, where the average civil penalty paid per case processed in 2017 was $354. Travelers may pack firearms in their checked baggage, provided they are packed in a TSA-approved manner and are declared when the bags are checked in for a flight. Perhaps the easiest and lowest-cost way to reduce the number of intercepted firearms would be for the TSA to post more prominent warnings at airport luggage check-in counters and outside its security checkpoints at major airports, where the agency should also provide a secure, monitored space to allow law-abiding passengers to safely transfer firearms to their checked baggage.